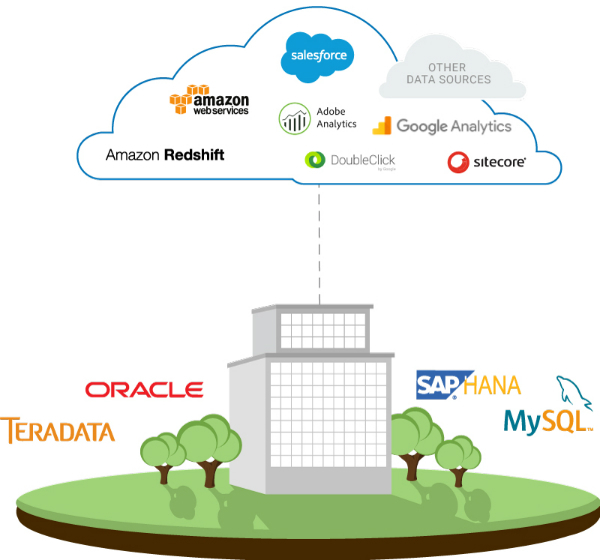 AnswerRocket can connect with many popular cloud and offline databases. In reality, we can work with any structured or semi-structured data that produces a JSON, CSV, Parquet, or NoSQL file. And we can do it quickly. We can handle millions of rows of data spread throughout multiple data warehouses – and have you up and running on AnswerRocket in as little as one hour.